Dr. Takeo Fujikura is a professional pantomime artist with a 41 year-career. He choreographed and hosted a series of mime-based Japanese lesson corners in the NHK World TV Program, “Nihongo Quick Lesson”. He also created and choreographed a movement corner called “Panto!” for NHK TV’s most popular children’s program, “Okaasan to Issho”. He was selected as one of the artists in a Six-volume DVD series entitled ‘The Masterpiece of Japanese Entertainment Artists Since 1950” produced by NHK TV. His publications include Oshaberina Pantomime (Talkative Pantomime), and Za Pantomime (The Pantomime), both of which are written in Japanese under the stage name, Kanjiyama Mime. He has also translated Claude Kipnis’s The Mime Book into Japanese. Fujikura earned his Ph.D degree in Theatre and Drama from the University of Wisconsin-Madison in USA. He was a recipient of the “Distinguished Dissertation Award” from AATE (American Alliance for Theatre and Education) in 2008. He currently teaches theatre and drama classes at Waseda University (School of International Liberal Studies) and Sophia University (Faculty of Liberal Arts). Along with university　lectures, he continues his performance work throughout Japan. Founded, directed and acted in Kanjiyama Mime, a leading professional mime troupe in Japan. Tony Montanaro Advanced Mime Workshop, South Paris, ME. 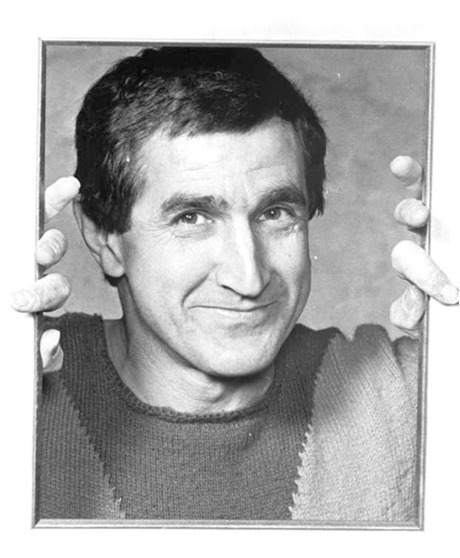 Tony Montanaro, internationally-acclaimed mime artist, director and teacher was born in Paulsboro, New Jersey, USA on September 10, 1927. Montanaro earned a theater degree from Columbia University. After seeing Marcel Marceau’s historic 1956 performance at New York’s Phoenix Theatre, Montanaro flew to Paris to study under Marceau and Marceau’s teacher, Etienne Decroux. Montanaro had a long career of rave-review performances in Europe and the United States. He designed and hosted the award-winning CBS-TV children’s show, “Pretendo”. In 1972, Montanaro founded the Celebration Barn in South Paris, Maine, a world-renowned theater/school of mime, improvisation, story-telling, and other performing skills. In 1995, Montanaro authored “Mime Spoken Here: The Performer’s Portable Workshop”, a guide to the craft of mime, character work, and improvisation. Montanaro died at his home in Casco, Maine, on Friday, December 13, 2002.